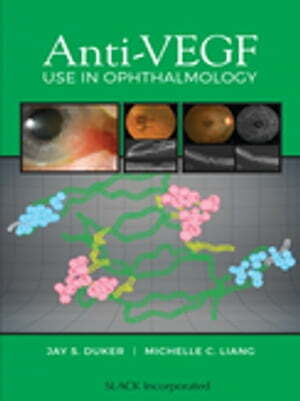 Collins Booksellers - Anti-VEGF Use in Ophthalmology by Jay Duker & Michelle Liang, 9781630913229. Buy this book online. The introduction of anti-vascular endothelial growth factor (VEGF) agents has revolutionized therapy for a host of ocular diseases associated with leakage from normal blood vessels and pathologic blood vessel growth. Anti-VEGF Use in Ophthalmology is an all-inclusive reference designed to provide detailed, up-to-date, and clinically relevant information on the current use of anti-VEGF agents in the treatment of all ocular conditions. Drs. Jay S. Duker and Michelle C. Liang have assembled a prestigious group of contributors who pool their collective expertise in this comprehensive book. Anti-VEGF Use in Ophthalmology is split into two sections with the first providing the history of VEGF and an overview of anti-VEGF agents and different routes of drug delivery, as it is important for eye care providers to be familiar with up-to-date aspects of the medications and indications for use. The second section details the clinical uses of anti-VEGF agents in numerous ocular diseases, from the anterior segment including cornea and glaucoma to uveitis and various retinal and choroidal diseases. Each chapter in this section summarizes the disease process and utilizes high-quality ocular imaging to demonstrate the therapeutic use of the anti-VEGF agents.